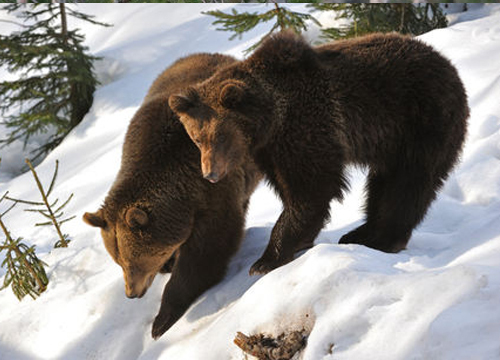 Romanian Carpathians hosts 60% of the Brown Bear population from Europe. We offer you the opportunity to see and admire the brown bears in their own habitat, from a specially designed observation hide in the Transylvania forest. The forest rangers will take you deep inside the forest, on a gravel road, you will continue walking for a few hundred meters to the hide where you will wait quietly for wildlife. 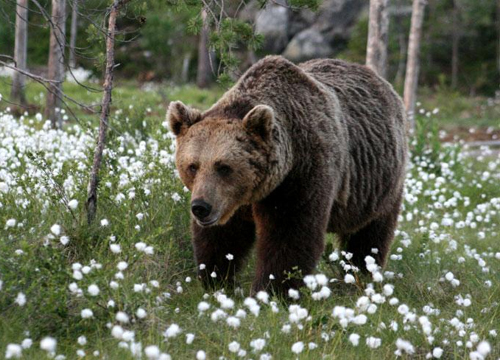 There are high chances (statistically more than 80% chances) to spot the Carpathian Brown Bear, sometimes a female with cobs, sometimes a larger male bear, but you can also spot the wild boar, roe deer and red deer, wolves, lynx and even some game birds. We cannot guarantee 100% that you will be able to see any of the wildlife listed above. Do not forget the wildlife have their own way of living, and we, humans, try to approach them as much as possible in their natural habitat. 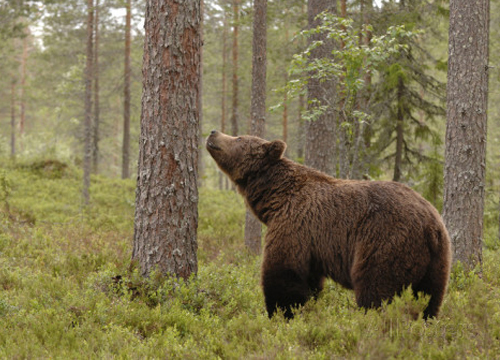 There should be around 5.000 bears in the Carpathians forests.